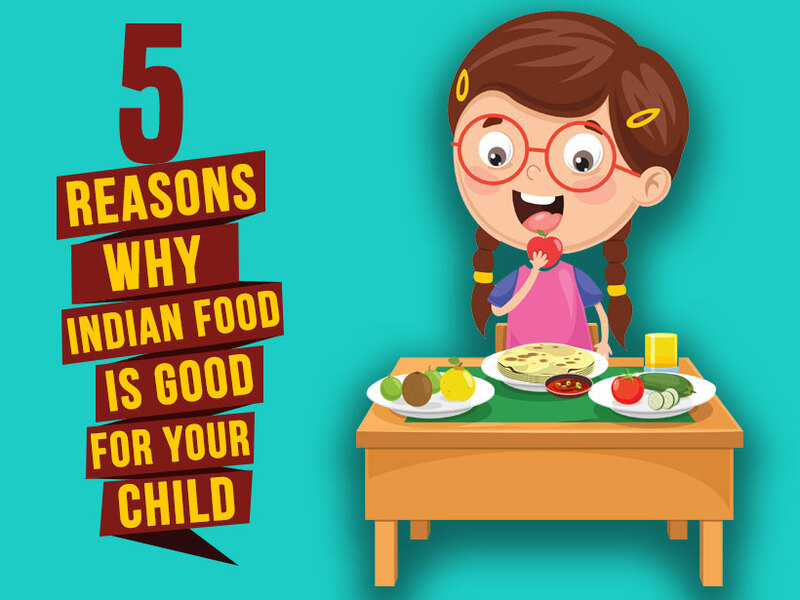 An Indian meal is rich in all the essential nutrients required for the child’s development. It is easy to digest, is rich in carbs and fibre, also contains all the good fats. Indian cooking is naturally rich in essential nutrients and provides a balanced meal plan. The Indian meal is a balanced meal, comprising mainly of cereals, pulses and vegetables (cooked, uncooked). Cereals include wheat, rice, bajra, ragi and makai, vegetables (cooked), salads (uncooked vegetables), dal (pulses and legumes), curd, rice (brown or white) and, last but not the least, dessert such as a piece of jaggery, gulab jamun, rasogulla, halwa, etc. When you analyse the diet, it majorly includes food from all the food groups, completely abiding by the food pyramid. It is rich in complex carbohydrates, which keeps energy levels high for a longer duration. Wholewheat atta, ragi, dalia, veggies and sprouts are also rich in micro nutrients (iron, calcium, vitamins A, B, C, E, K) that are essential for a child’s growth. Indian diet is also high in fibre, as a lot of vegetables and fruits are included in daily meals, as compared to other cuisines where refined cereals are a major ingredient like breads, noodles and pasta. Its rich in good fat as a variety of oils (mustard, til, ghee and coconut oil) are used for different preparations, besides nuts and seeds being used in preparing various delicacies. Ladoos, made of dry fruits, seeds and whole cereals, are power-packed snacks for growing kids. Indian food almost always uses fresh ingredients and involves making dishes from scratch, which means less preservatives and overall healthier food. There are less vitamins and minerals lost as the dishes are freshly prepared.